Attention, Hung Ga Kyun Masters, Students, Researchers & Fans! Check out our latest special release! Authoritative English translation of the 1951 tribute to legendary “Butcher Wing”, Wong Fei Hung’s famous student, “Mr. Tiger & Crane”! 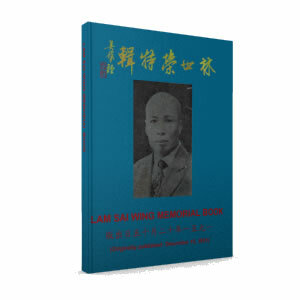 Lam Sai Wing Memorial Book! One of the last few surviving and rare copies – scanned, restored, edited, translated to English and converted to digital format for the future generations! 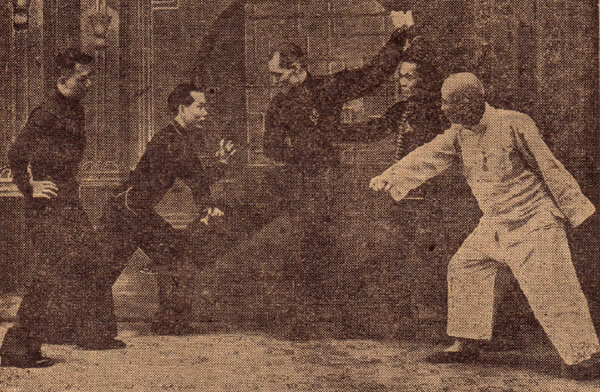 Grand Master Lam Sai Wing, disciple of of Grand Master Wong Fei Hung, was on the greatest martial artists of his time. He has passed away in 1943, leaving behind a great legacy of his teaching, hundreds and thousands of students and grand-students. Years later Lam Sai Wing Alumni Association decided to publish a tribute to the late Grand Master. 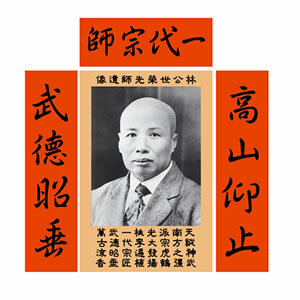 After many months of collecting the contributions of various students, Masters and Grand Masters, writting and editing, Lam Sai Wing Memorial Book was finally published on December 15th 1951. 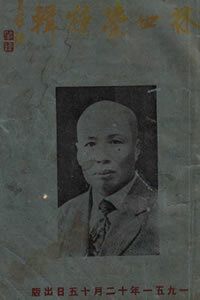 Apart from extensive biography of Grand Master Lam, the Memorial Book contains detailed biographies of many famous Hung Kyun students, Masters and Grand Masters, such as Lam Jou, Lau Jaam (father of Lau Kar-Leung), Wong Man Kai, Wong Moon Toy (Grand Master of Fu Jow Pai system), Wong Lei, Pun Gwai Yat, Luk Geng Wing (brother of famous White Crane master Luk Chi Fu) and many,many others! In the Appendix of the original Memorial book you will also find addresses of all students who have contributed to the memorial book, their placeof birth, age and proffession. Very rare set of data for all serious Hung Kyun researchers. All texts are presented both as scan of the original Memorial Book as well as English translation! Greetings and calligraphies donated by famous Grand Masters of various styles, eg. White Crane, Wing Cheun etc. All photos have been scanned and restored from one of the few surviving copies existing today! Click HERE to download the complete Lam Sai Wing Memorial Book! All terms are presented in standard Yale romanization Cantonese together with traditional Chinese characters and English translation! K. van ’t Slot-Lai, born and raised in Hong Kong, she has practised Gung Fu since young age and for many, many years. She now resided in the Netherlands. C. van ‘t Slot Sifu has practised Gung Fu since young age. In 2000 he went to Hong Kong and started learning from master Lam Chun Fai. He has become a senior disciple of Master Lam Chun Fai. Currently, he runs a Gung Fu school in the city of Utrecht, the Netherlands. Download the digital version of Lam Sai Wing Memorial Book NOW and Get A Special Bonus: high-res printable Gung Fu Altar of Grand Master Lam Sai Wing! Restored version of the original four parts altar form the Late Grand Master Lam Jou’s school, made by Wong Man Kai, disciple of Lam Sai Wing in 1950’s. Suitable for framing and hanging in your school or at your home. Pay the respect to the first patriarch of Lam Family Hung Kyun, venerable Lam Sai Wing, and help to promote the art of Hung Kyun and Chinese culture in general. Left and right: Just As a High Mountain You Face, The Martial Virtues Will Last Forever. Developed to glory and prosperity. Will be spread and taught forever. 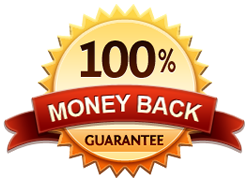 If for any reason you don’t feel that the rare and precious Lam Sai Wing Memorial Book and the downloadable poster bonus were an outstanding and rare addition to your Hung Ga Kyun library, you may contact us at any time during the next 60 days and we’ll refund your money. This entry was posted in Downloads on September 24, 2013 by Pavel Macek.